Digital Crud on 6M. Display freq is 28Mhz but is an HF rig with a 6M transverter so 28=50. Cyles up and down like this. Goes slowly down in freq over a long period of time (takes 2-3 hours to go through the band). Very directional to SE and also stronger at high angle of radiation (high ants don't hear it as well). 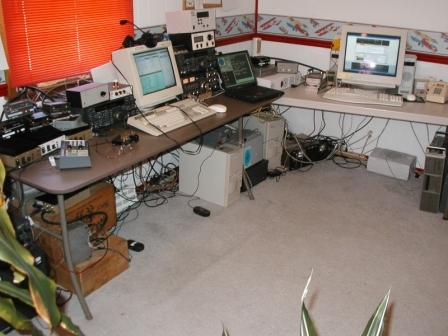 Suspect propagated not local since three separate low 6M antennas all hear it at the same AZ.